The six-part miniseries Les Miserables, season five of “Finding Your Roots with Henry Louis Gates, Jr.” and season three of “Masterpiece Mystery! : Unforgotten” are among the titles coming to digital, DVD and Blu-ray from PBS Distribution in May. Based on Victor Hugo’s masterpiece novel, the drama Les Miserables streets May 21 on Blu-ray, DVD and digital. 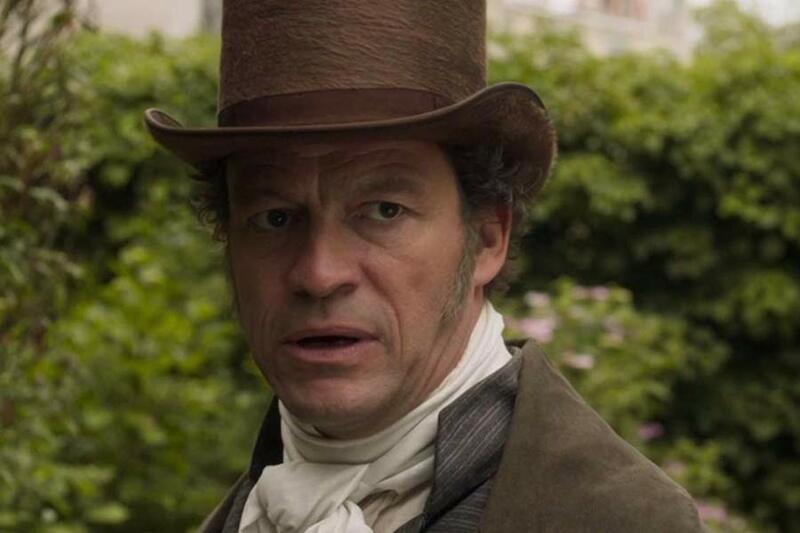 It stars Dominic West (The Affair, “The Wire”) as Jean Valjean, the most famous fugitive in literature. It also stars David Oyelowo (Selma, Queen of Katwe) as his relentless pursuer Javert; Lily Collins (Rules Don’t Apply; Love, Rosie) as the tragic seamstress Fantine; Ellie Bamber (Nocturnal Animals) as Cosette; Academy Award-winner Olivia Colman (The Favourite) and Adeel Akhtar (Unforgotten) as Cosette’s cruel overseers; and Josh O’Connor (The Durrells in Corfu) as the student and reluctant revolutionary Marius. Season five of “Finding Your Roots with Henry Louis Gates, Jr.” streets May 14 on DVD and digital. The season traces the families of Academy Award winner Marisa Tomei; Emmy and Golden Globe Award winners Laura Linney and S. Epatha Merkerson; actors Michael K. Williams, Chloë Sevigny and Kal Penn; author George R.R. Martin; journalists Christiane Amanpour, Ann Curry, Joe Madison and Lisa Ling; bestselling author and Facebook executive Sheryl Sandberg; TV hosts Seth Meyers and Michael Strahan; artists Marina Abramović and Kehinde Wiley; politicians Marco Rubio, Tulsi Gabbard and Paul Ryan; Academy Award-winning filmmakers Alejandro G, Iñárritu and Michael Moore; and comedians Tig Notaro and Sarah Silverman. Due May 7 on DVD and digital is season three of “Masterpiece Mystery! : Unforgotten.” When human remains are found by a motorway near London, the crime-solving duo Cassie and Sunny are called to the scene. Dogged work leads the team to Hayley Reid, a 16-year-old girl who went missing on the eve of the millennium. The police’s failure to find out what happened to Hayley wrecked her family’s life. Cassie’s compassion makes her determined to correct the mistakes made by the original investigating team — whatever the cost is to herself. Coming May 21 on DVD and digital is the two-part docu-drama Nicholas and Alexandra: The Letters. Since their brutal murders 100 years ago, the world has been fascinated by Tsar Nicholas II and his wife, the Empress Alexandra. Through the couple’s politically damning, sexually intimate and personally revealing letters, the docu-drama explores Nicholas and Alexandra’s complex love story and the couple’s role in the lead up to the Russian Revolution of 1917, which led to their execution. From their total isolation to their political ineptitude and reliance on Rasputin, the letters chronicle their disastrous leadership in graphic detail. Nova: Rise of the Rockets streets May 7 on DVD and digital. The show covers the explosion of private companies sparking the development of new technologies and lowering costs to bring space closer than ever. It also explores how NASA is returning to crewed spaceflight, building a rocket more powerful than Saturn V to take us far beyond earth. Coming May 14 on DVD and digital is Nova: The Next Pompeii. The series joins investigators as they hunt for clues hidden beneath the surface of Italy’s lesser-known volcano, Campi Flegrei, and assess the risk of a new and potentially devastating eruption. The program also follows historians and geologists as they discover the latest evidence of Pompeii’s fiery destruction, unpacking the chain of events that led to the ancient world’s most notorious disaster. Due May 28 on DVD and digital is Frontline: The Trial of Ratko Mladic. In the aftermath of the brutal wars that decimated Yugoslavia in the early 1990s, former Bosnian Serb General Ratko Mladic was accused of genocide and other war crimes — including the massacre of more than 7,000 Muslim men and boys in the town of Srebrenica in July 1995 — considered the worst crime perpetrated on European soil since World War II. After 16 years on the run, Mladic was apprehended and brought to The Hague to stand trial before the U.N.’s International Criminal Tribunal. The two-hour special goes inside the historic five-year trial, with unprecedented, behind-the-scenes access to the prosecution and defense teams, as well as to witnesses from both sides who came to present evidence. Secrets of the Dead: The Nero Files debuts May 14 on DVD and digital. The show uncovers the story of the Roman emperor Nero, considered one of history’s greatest criminals — a cruel, insane and brutal ruler. He stands accused of killing his step-brother, his wife and his mother, as well as burning Rome to the ground for his own artistic inspiration. Recent research, modern interpretations of historical sources and new discoveries cast a different light on the accusations levelled at the Roman emperor. The Nero Files investigates Nero’s reign with the help of criminal psychologist Thomas Müller, using “cold case” methodology, asking the question: Did history get it wrong? Coming May 7 on DVD and digital is Henry IX: The Lost King. The program takes viewers on a journey to investigate the mysterious disappearance from history of a forgotten Scottish prince — Henry Fredrick Stuart. Not many of us know his name but Henry started the British Museum and the Royal Collection and was the first royal prince to back a permanent settlement on American soil in the early 17th century. In this documentary, host Paul Murton brings this forgotten figure from the shadows of history. It’s a detective story that reveals the tragedy of Henry’s lost potential. The Best of the World’s Greatest, due May 7 on DVD and digital, is a six-part series going on a journey around the planet, revealing the world’s greatest ancient cities, natural wonders, extreme animal encounters, lost cities, journeys and adventures, monuments, and coral islands. Viewers get a chance to explore cities such as Venice, Rio, and Cairo; the islands of Galapagos; Hawaii; and the Maldives. Viewers also explore Stonehenge, Machu Picchu, Angkor Wat, the Taj Mahal, Mt. Everest, the Great Barrier Reef, and the Grand Canyon. In addition, viewers get up close and personal with killer whales, grizzlies, and silver-backed gorillas, among other animals in the wild. Korea: The Never-ending War, coming May 14 on DVD and digital, is written and produced by John Maggio and narrated by Korean-American actor John Cho. The documentary sheds new light on the global upheaval that led to the Korean War in 1950, a moment when the Cold War turned hot, and how today that war’s brutal legacy has forced the world into a deadly nuclear showdown. With testimony from the soldiers on the frontlines, civilians caught in the crossfire, political leaders from then and now, journalists, and historians, the film is a comprehensive re-examination of a war that took the lives of tens of thousands of Americans and millions of Koreans. A spaghetti Western, a film noir classic, a J-sploitation film and a gore actioner are among the new Blu-ray releases due in May from Arrow Video and MVD Entertainment Group. 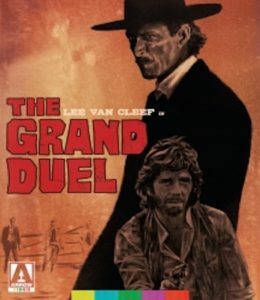 Coming May 7 is Giancarlo Santi’s spaghetti Western The Grand Duel, starring Lee Van Cleef as a sheriff seeking justice for a man accused of murder. 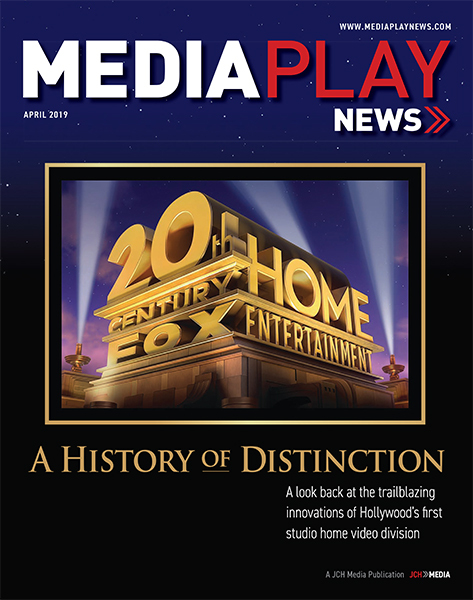 Special features include new interviews with cast and crew, including director Santi, and a new commentary with film historian Stephen Prince. On May 14, Arrow brings two new releases. 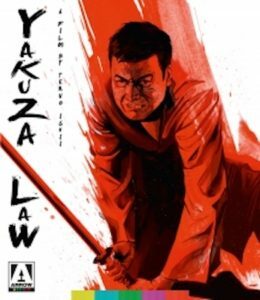 Yakuza Law is from director Teruo Ishii, the godfather of J-sploitation. It’s a tale of a yakuza lynching during the Edo, Taisho and Showa periods. Special features include a new commentary with film critic Jasper Sharp and an archival interview with Ishii. 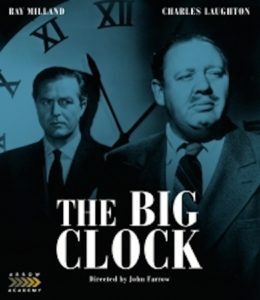 Also due May 14 is the 1948 film noir The Big Clock. The film follows a magazine tycoon who commits a murder and then attempts to frame an innocent man. At the same time, the innocent man attempts to solve the case. 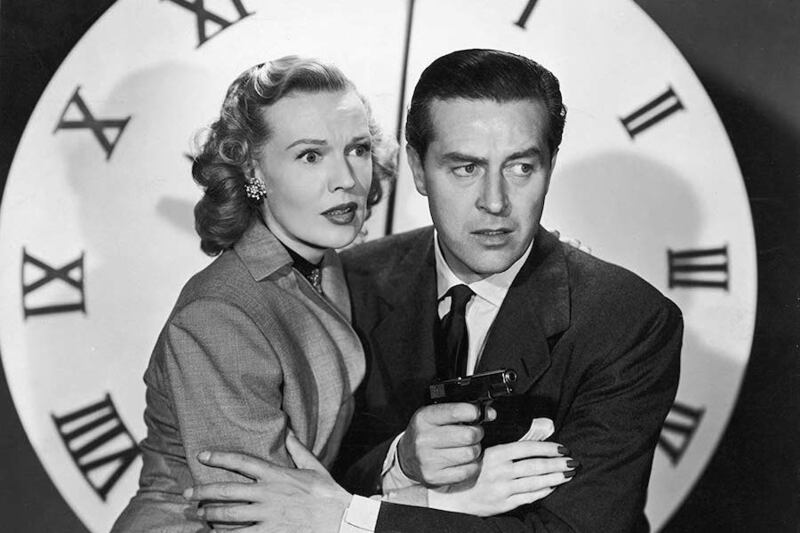 The film is directed by Oscar winner John Farrow and features an all-star cast, including Ray Milland, Maureen O’Sullivan and Charles Laughton. Due May 21 is She-Devils on Wheels, from godfather of gore Herschell Gordon Lewis. In a small Florida town, an all-girl motorcycle gang known as The Man-Eaters squares off with an all-male rival gang. Included in the special features is another feature-length film from Lewis, 1968’s Just for the Hell of It, also set in Florida, about a gang of punks leading a small town’s youth down a path of destruction and mayhem. The music documentary Bachman: Special Edition will come out on Blu-ray and DVD May 10 from MVD Entertainment Group and FilmRise. The documentary chronicles the life of the 74-year-old rocker, who is still regularly making music and performing. The film follows Bachman as he looks to the past for inspiration from rarely seen footage, pictures and documents that have been stored at the National Archives in Ottawa. 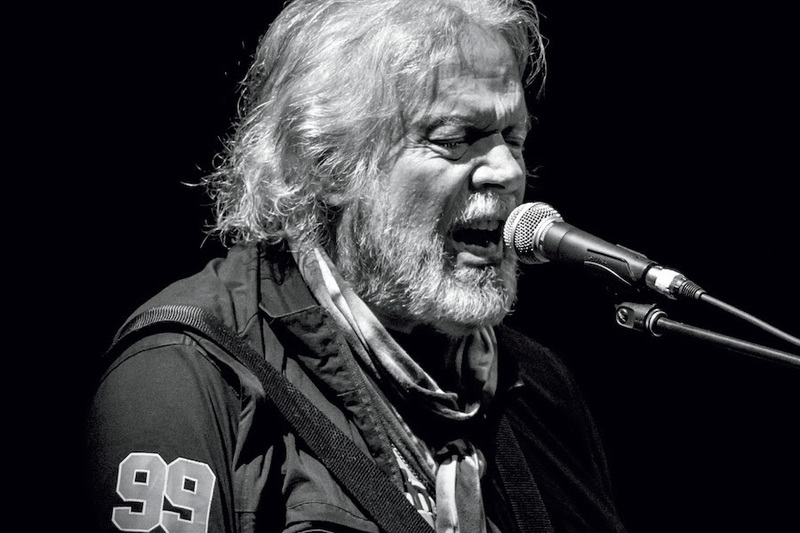 It also incorporates present-day interviews with family, management and fellow musicians, touching on everything from Bachman’s childhood to his various rock bands — The Guess Who, Brave Belt, Bachman-Turner Overdrive, Bachman-Turner — and solo work. The documentary made its world premiere in Toronto at Hot Docs 2018 before a festival run, and eventual airing in Canada on CBC’s Documentary Channel. Bonus materials include “Neil Young on Winnipeg,” “Randy’s Crazy Horse,” “Building a Reprise ‘Here Comes the Sun,’” “On Chords,” “Songwriting ‘When No One Knows’” and the theatrical trailer. Well Go USA Entertainment will release two action films on DVD and Blu-ray (plus DVD) combo pack in May. 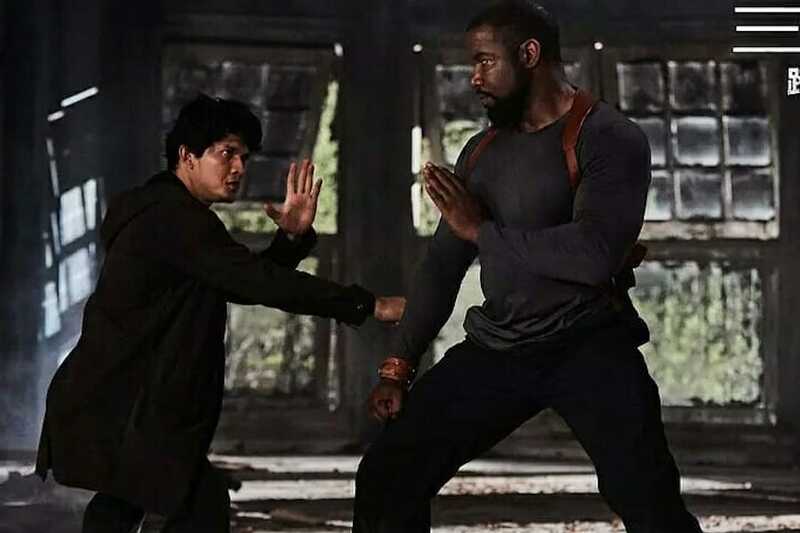 Due May 14 is Triple Threat, which teams more than a half dozen of the world’s biggest action stars for a martial arts showdown. In the film, when a hit is taken out on a billionaire’s daughter, it’s mercenaries versus assassins in an all-out war. 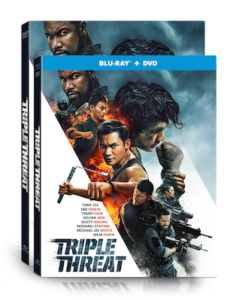 Triple Threat stars Tony Jaa, Iko Uwais, Tiger Chen, Scott Adkins, Michael Jai White, Michael Bisping, Celina Jade and Jeeja Yanin. Bonus features include an interview with the cast. 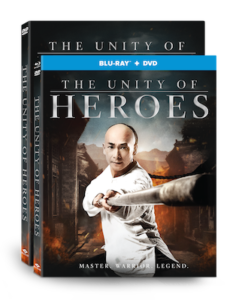 Coming May 28 is the Chinese film Unity of Heroes, a story about a shipment of a narcotic more dangerous than opium that is about to be distributed by a corrupt pharmaceutical company. In the face of foreign and domestic enemies, Wong Fei Hung fights to stop the spread of the drug and save lives. The romance Five Feet Apart will come out on digital May 24 and Blu-ray combo pack (plus DVD and digital), DVD and on demand June 11 from Lionsgate. 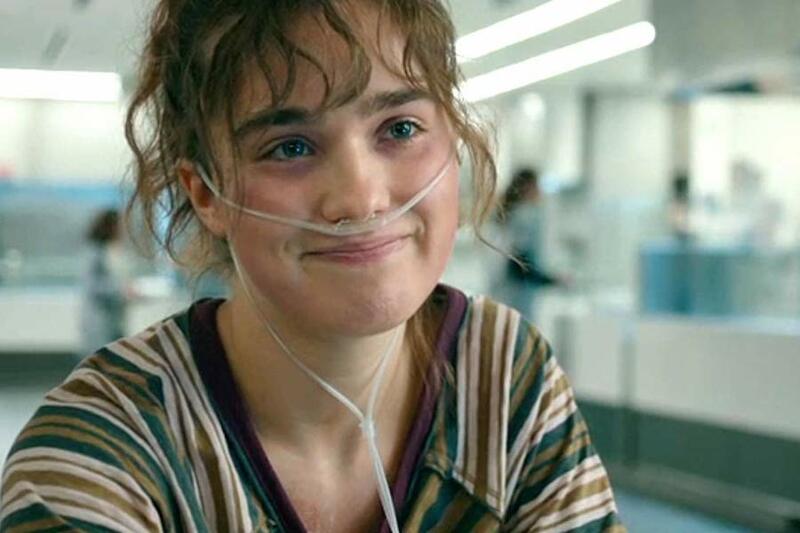 The film follows 17-year-old Stella (Haley Lu Richardson) who has to spend much of her time living at a hospital as a cystic fibrosis patient. When she meets Will (Cole Sprouse), a fellow patient, she feels a powerful connection — but restrictions dictate that she and Will maintain a safe distance between them. As their feelings grow, Stella and Will face a life-changing question: How does love feel when even a single touch is off limits? Bonus features include four making-of featurettes, an audio commentary with director Justin Baldoni, deleted scenes and an alternate ending. 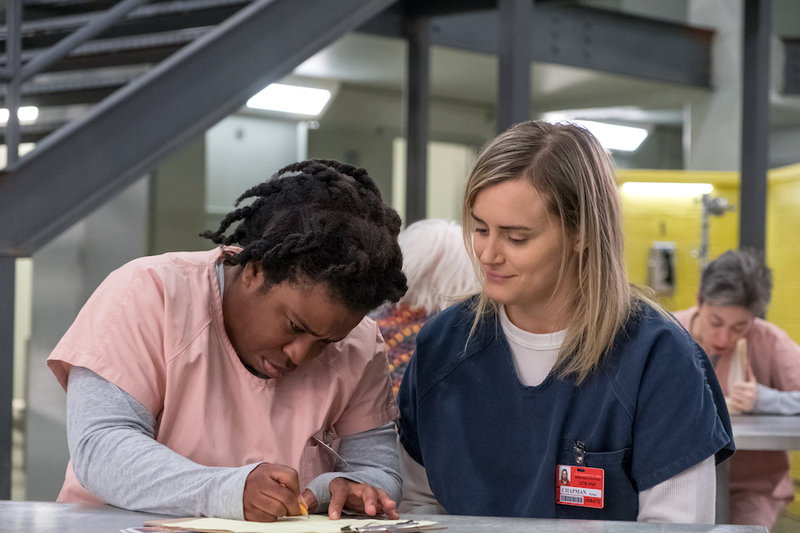 Season Six of “Orange Is the New Black” arrives on digital June 10 and Blu-ray (plus digital) and DVD June 11 from Lionsgate. After inciting a riot in Litchfield, many of the familiar inmates are headed to maximum security for a new season in a whole new environment. Picking up one week after the emergency response team stormed Litchfield Penitentiary, the ladies of Litch have been torn apart, literally and figuratively, as they enter a new facility in the sixth season. Now ​newbies ​starting at the bottom, they ​must navigate new rules and power dynamics while getting hazed by inmates and tortured by guards. Friendships will be tested and new allegiances formed — some by choice, others by circumstance — as the women face a slew of charges from the riot. Will they take plea deals and turn on each other or band together and keep their bonds intact? Season six stars Taylor Schilling, Kate Mulgrew, Laura Prepon and Uzo Aduba. The Blu-ray and DVD will include audio commentaries with cast and crew, a featurette, and a gag reel. The faith-based film Run the Race debuts on Blu-ray and DVD at Walmart as well as on digital (including Movies Anywhere) and on demand May 21 from Universal Pictures Home Entertainment, in partnership with The WTA Group, Reserve Entertainment and 10th Leper Productions. The film will be available on Blu-ray and DVD at all retailers nationwide June 18. Executive produced by athlete Tim Tebow and his brother Robby Tebow, the family drama follows the journey of two high school athletes and brothers who see their relationship tested as they seek different paths out of their troubled lives. Reeling from his mother’s death and his father’s abandonment, Zach, an all-state athlete, finds glory on the football field, working to earn a college scholarship and the brothers’ ticket out of town. 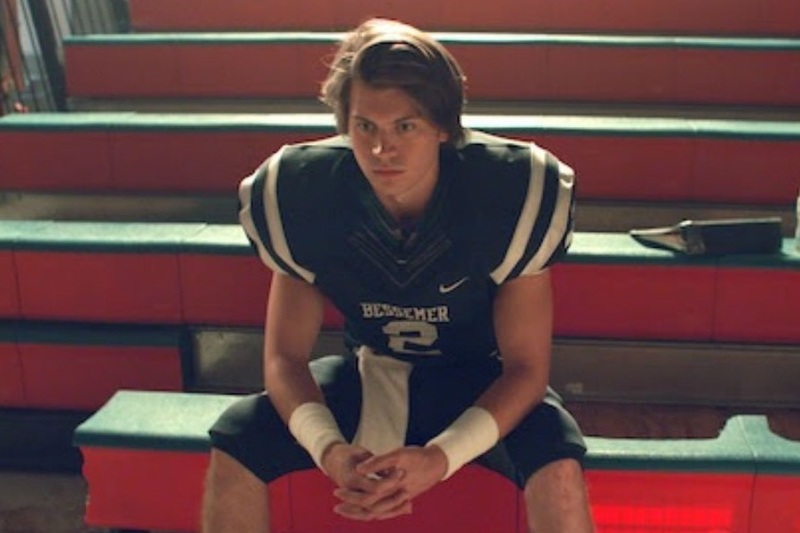 When a devastating injury puts Zach — and his dreams — on the sidelines, David laces up his track cleats to salvage their future and point Zach toward hope. The cast includes Tanner Stine (“NCIS,” Indivisible), Kristoffer Polaha (“Condor,” “Get Shorty”), Evan Hofer (“Kickin’ It”), Kelsey Reinhardt (“Transparent”) and Mario Van Peebles (“Superstition,” “Bloodline”) with Mykelti Williamson (Fences, Forrest Gump) and Frances Fisher (Titanic, Unforgiven). 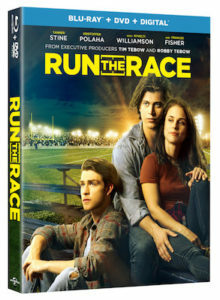 Bonus features include “The Heart of Run the Race,” in which executive producer Tim Tebow and cast talk about why the film is so important, what makes it special, and the bonds of family; a behind-the-scenes look at the making of the film with writer-producer Jake McEntire and executive producer Robby Tebow; and “The Cast Talks,” in which cast and crew cover a variety of topics, including their characters, the power of forgiveness, mentorship, dating and sports. 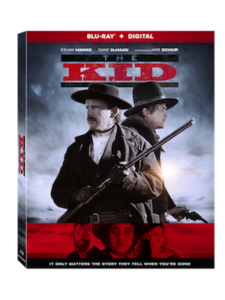 The Western The Kid rides to Blu-ray (plus digital), DVD, digital and on demand June 4 from Lionsgate. The new take on the infamous American Old West story of Billy the Kid and Sheriff Pat Garrett stars Ethan Hawke (Training Day, Boyhood, The Magnificent Seven), Dane DeHaan (Lincoln, The Place Beyond the Pines, Lawless), Jake Schur, Leila George and Chris Pratt (Guardians of the Galaxy franchise, “The Avengers” franchise, Jurassic World, The Magnificent Seven). Directed by Vincent D’Onofrio (TV’s “Daredevil,” The Magnificent Seven, Jurassic World) The Kid reunites D’Onofrio and Hawke for the first time since their performance in The Magnificent Seven. In the Western, a young boy, Rio (Schur), is forced to go on the run across the American Southwest in a desperate attempt to save his sister (George) from his villainous uncle (Pratt). 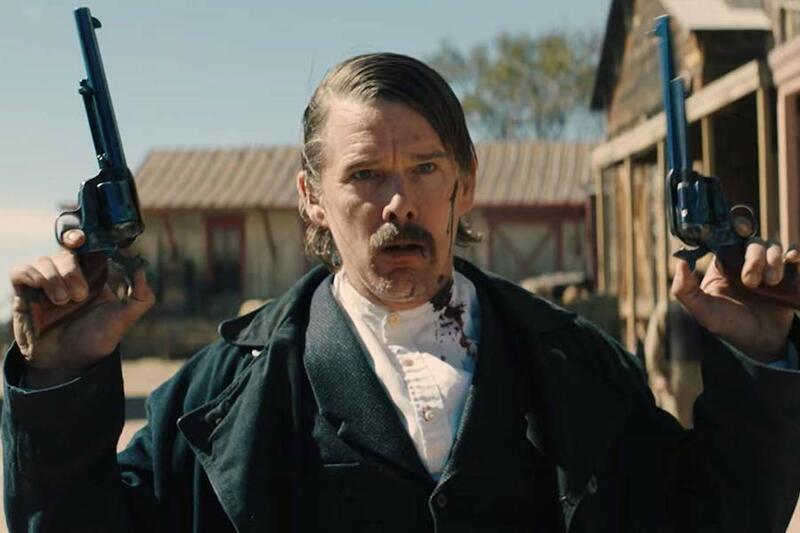 Along the way, he encounters Sheriff Pat Garrett (Hawke), on the hunt for the infamous outlaw Billy the Kid (DeHaan). Rio finds himself increasingly entwined in the lives of these two legendary figures as the cat-and-mouse game of Billy the Kid’s final year of life plays out. Bonus features include a making-of featurette. The Haunting of Sharon Tate arrives on Blu-ray (plus digital), DVD and digital June 4 from Lionsgate. 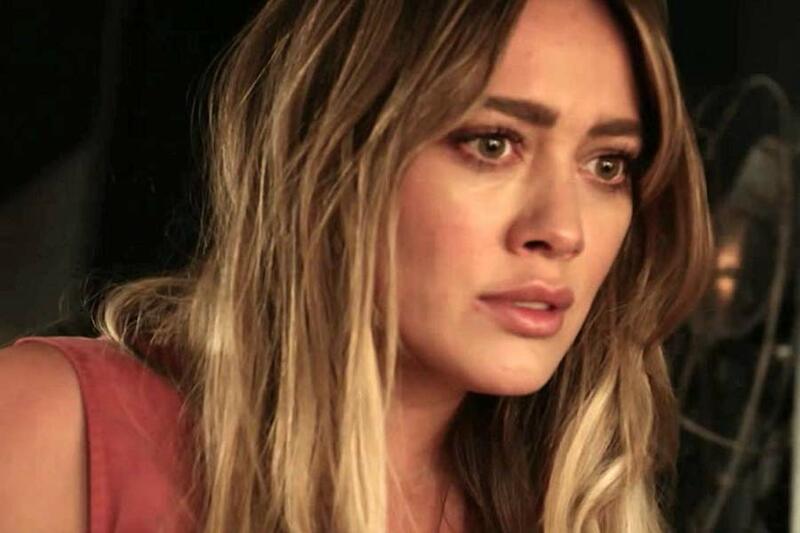 Starring Hilary Duff, Jonathan Bennet and Lydia Hearst, the film chronicles one of Hollywood’s most infamous murder cases. It follows pregnant 26-year-old actress Sharon Tate (Duff), a rising star about to have her first baby with her husband, director Roman Polanski. Plagued by terrifying premonitions, Sharon sees her worst nightmares come to life with the appearance of Charles Manson and his deadly cult.